Social media has become more than just a networking platform. It’s become an ecosystem where friends, family, consumers, and brands interact with one another at lightning speed. In this age of hyper connectivity, brands are slowly realizing the potential of social media when it comes to providing customer service. According to a study by Lithium Technologies, 70% of Twitter users expect a response from brands they interact with online. The same study also revealed that 50% of those users expect the response within the first hour. The need for a prompt response to customer inquiries has skyrocketed over the past few years and brands need to step up their game. Today, consumers are quick to share their sentiments—whether it be negative or positive—on social media. Brands need to develop a more agile strategy that allows them to moderate these comments without damaging their reputation. Because customer support through social media is still an emerging trend, not a lot of brands have expertise on the topic. Consumers, however, understand the power of social media and they use public posts as leverage in order to get the response they deserve. Once unanswered questions and unaddressed concerns queue up on a brand’s social media page, their reputation is sure to take a hit. This shows the explicit need for brands to quickly allocate energy and resources in improving how they provide customer support through various social media channels. Negative consumer sentiments shared online can hurt a brand’s online credibility. What makes them even more dangerous is their viral element. Each post has the ability to reach millions of existing and potential customers, giving brands often undeserved bad publicity. For brands to come across as more responsive and approachable to consumers, they need to have a community manager who can focus on providing prompt and adequate responses to customer inquiries. Aside from responding to messages being sent in by customers, community managers also play a key role in establishing a better relationship between brands and their target audience. They are also responsible for developing a more relevant tone that resonates with customers. Once a brand figures out the right tone to use on social media, they can easily communicate with their audience in a more organic way. This tone helps brands stay consistent to the image they want to project to their target audience. Staying on top of customer support requests are made easier by automation tools that can be integrated into social media platforms such as Facebook and Twitter. Chatbots can perform basic inquiry ticketing to help community managers address the most urgent inquiries first. Both social media sites are already conducting experiments and studies that can further improve the reliability of chatbots. Using sophisticated machine learning and AI technology, these chatbots are also being trained to engage in more natural-sounding conversations with customers. The better these chatbots perform, the more they’ll be able to help brands increase customer satisfaction. 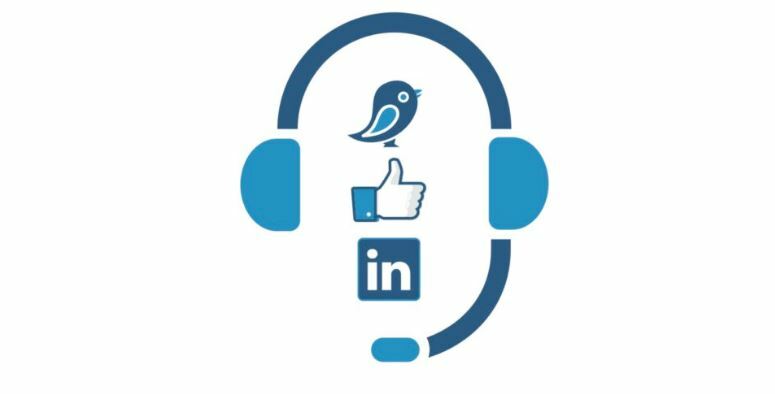 Given the cutting-edge tools and accessibility of websites like Facebook and Twitter, providing customer support through social media has never been easier. The rising trend in customer support through these platforms is bound to change the way brands establish a relationship with their customers and target audience. When used properly, social media can help brands give customers a more pleasurable experience with their products or services. Social media is becoming one of the most accessible channels for conversations between brands and consumers. Whether brands are ready for it or not, social media will become a place where consumers will express their thoughts and grievances regarding their experience.